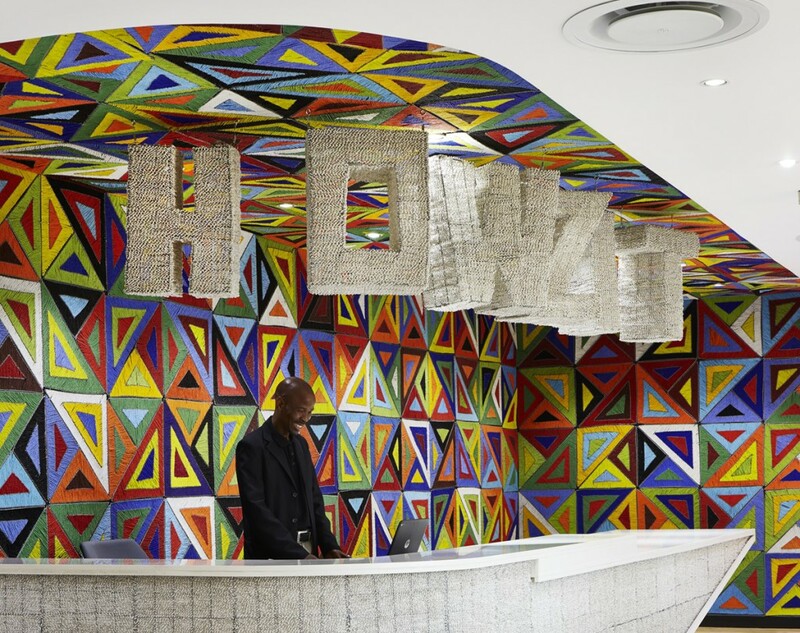 Google’s 5-Star Green Star Interiors v1 rated Johannesburg office – in the Ballyoaks Office Park in Bryanston – is an exercise in locally inspired design matched with both green and wellness considerations that raised the green-interiors bar with ambitious LEED and Healthy Materials targets. 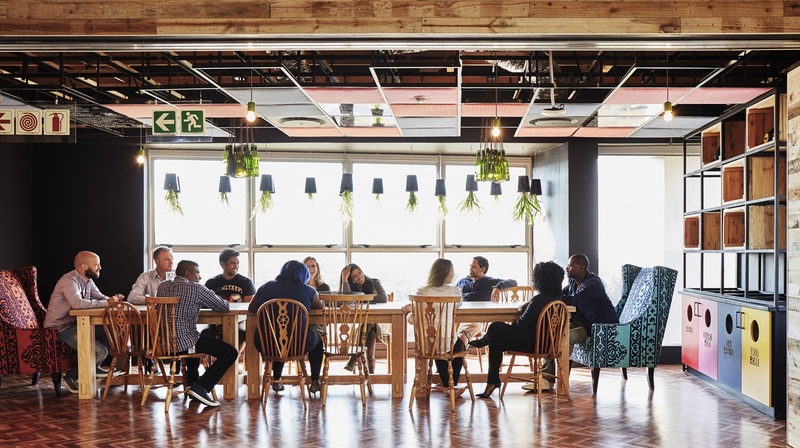 Green Building Council of South Africa (GBCSA) recently awarded Google’s Johannesburg office a 5-star Green Star SA Interiors v1 certification (demonstrating ‘South Africa Excellence’), following on from its International Green Interior Award 2015. Solid Green Consulting and Ecocentric Green Building Consultants joined forces to deliver a complex process in a short timeframe – including a comparative analysis of Green Star SA and LEED – to meet Google’s Healthy Materials Program requirements for the new office block in Ballyoaks Office Park, Bryanston. An Occupancy Users Guide and Comprehensive Transport Plan was developed for the interior fit-out to inform staff about: a) local transport options (the offices are within easy walking distance of Bryanston Shopping Centre, bus stop and taxi rank), incentives and amenities; and b) making optimal use of building services. Further, alternative transport methods have been made available, including a branded electric vehicle with charging facilities, as well as electric bicycles. A Building Management System has been implemented to monitor and report on energy usage, water consumption and waste generation. Live results are displayed in the foyers informing building users of their environmental footprint. Efforts to reduce waste generation though the development and implementation of an Operational Waste Management Plan have been undertaken, which include provision of separation bins, food-waste recycling, and recycling waste storage areas. An enhanced ASHRAE Commissioning process was implemented for the fitout as a prerequisite for the LEED Commercial Interiors v3 Rating achieved. 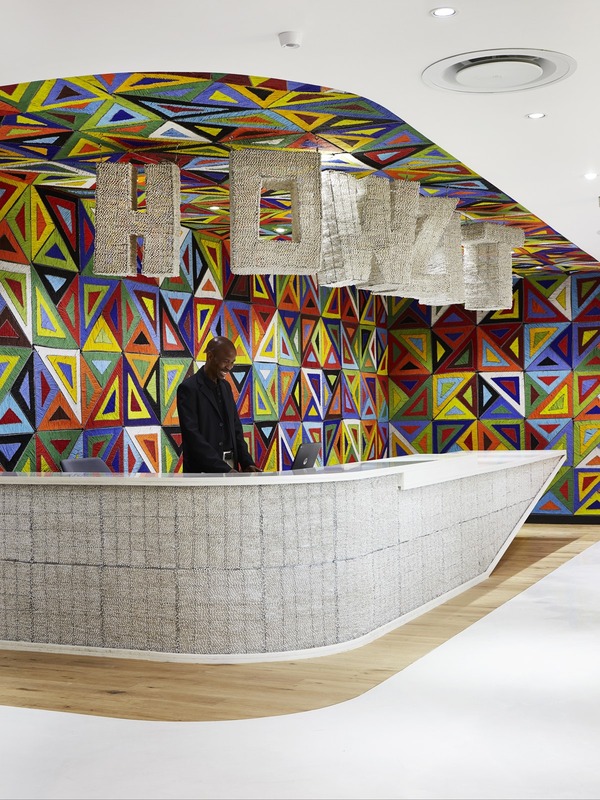 As per Google’s stringent requirements, the office was designed for high levels of acoustic comfort to facilitate a uniquely South African, productive, comfortable and creative workspace. Hot-water heating is provided by means of heat pump.